Members of family of kinases are distinguished by their extraordinarily large size and a propensity to form even larger multi-protein assemblies. PIKK members play central roles in regulating cell growth and proliferation, responses to DNA damage and RNA splicing errors, and transcription activation. We use single particle EM, yeast genetics and other biochemical and structural approaches to address the fundamental question of why these kinases need to so large in size. 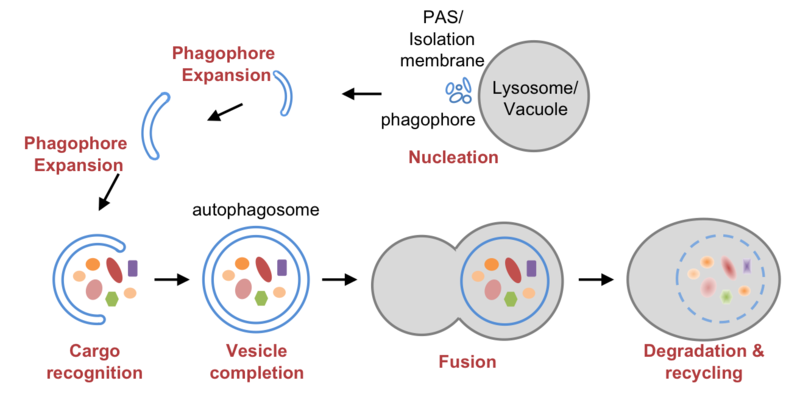 Autophagy is an evolutionarily conserved pathway that encapsulates large objects to be degraded in a double-membrane vesicle called the autophagosome and targeting this cargo to the lysosome for breakdown. We are interested understanding how a specialized group of proteins called Atg proteins mediate the different steps of this important membrane trafficking and degradative pathway. 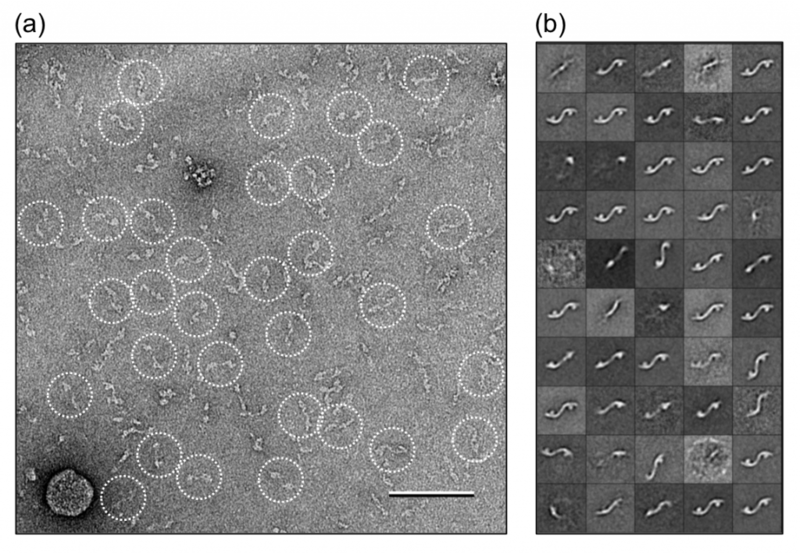 Single particle EM has emerged as an indispensible tool to characterize the structures of large proteins and multi-protein assemblie. Because it does not involve crystallization, single particle EM has the capability to visualize different conformational states of dynamic proteins and protein complexes. We are interested in developing new methods and procedures to facilitate the analysis of dynamic proteins and macromolecular assemblies.